SCLakes.com • View topic - Anyone seen the new Navionica Card? Anyone seen the new Navionica Card? Post subject: Anyone seen the new Navionica Card? 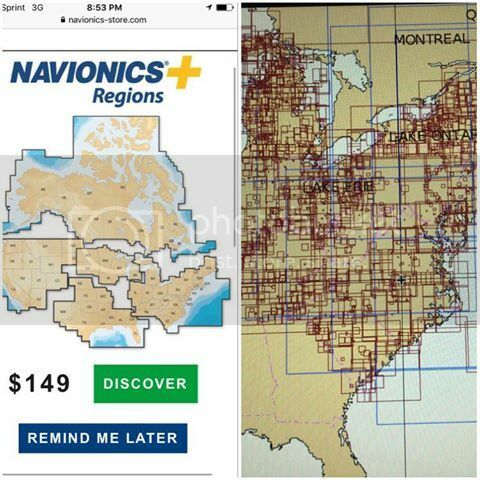 Navionics just came out with a card that's preloaded with one ft contours in regions around the U.S. For $149.99. The card is preloaded with the publics information they have sent in so its a more detailed map. I think this is going to be a killer card if your planning on staying close to home. Post subject: Re: Anyone seen the new Navionica Card? This is the area it will cover. I know of right now Green Top Sporting Goods, Bass Pro and maybe some other places as well. Also on the Region + all the boarder lakes between South Carolina and Georgia are included on the East card. Take a look at the 1ft contours on some of the boarder lakes there amazing. 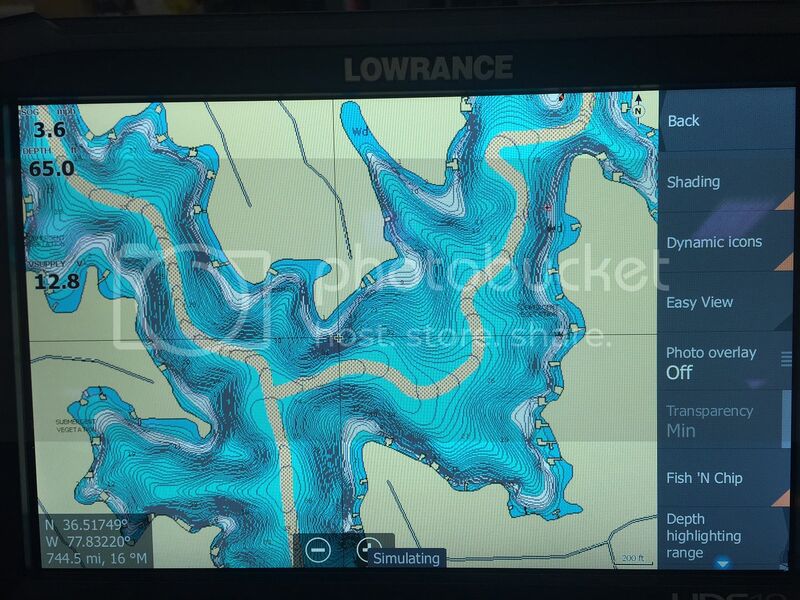 Those running the Lowrance Elite 7 or 5 TI have you tried SonarChart Live? 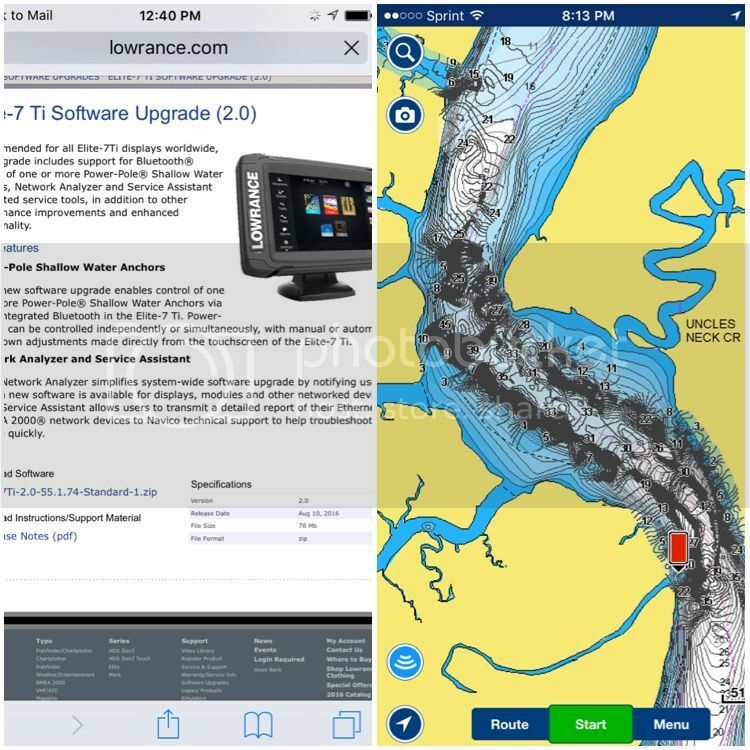 You can make your own maps on your Navionics App?Want to know how to do it? 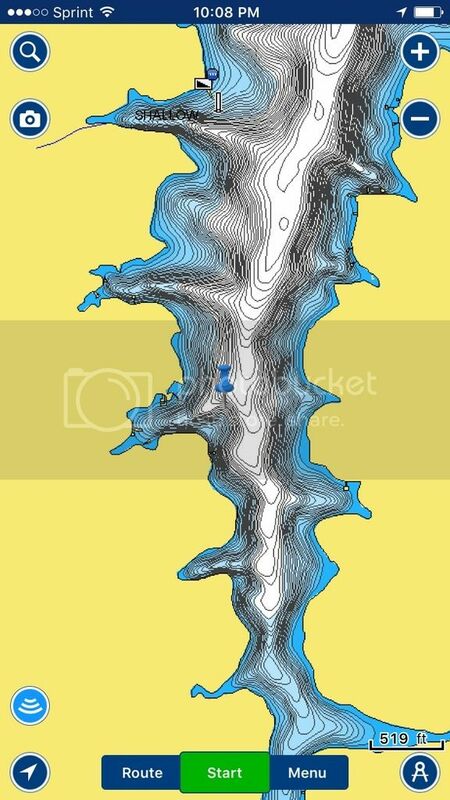 Check out the 1ft contours that are preloaded the new Navionics+ Region! Its works great with the Depth Highlight Range. I found it to be very helpful when fishing a lake with many docks, I can eliminate a lot of water by paying attention to what depth are located under docks.